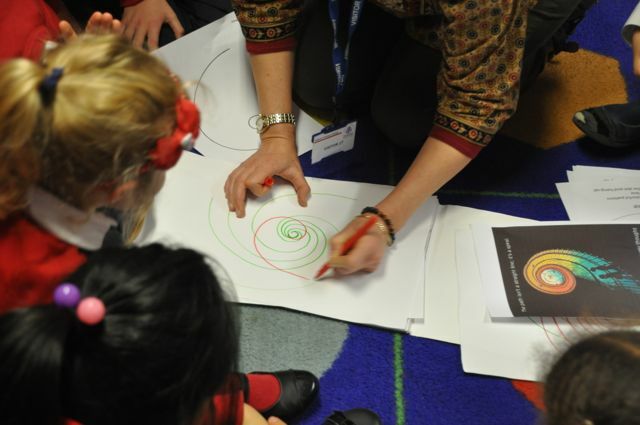 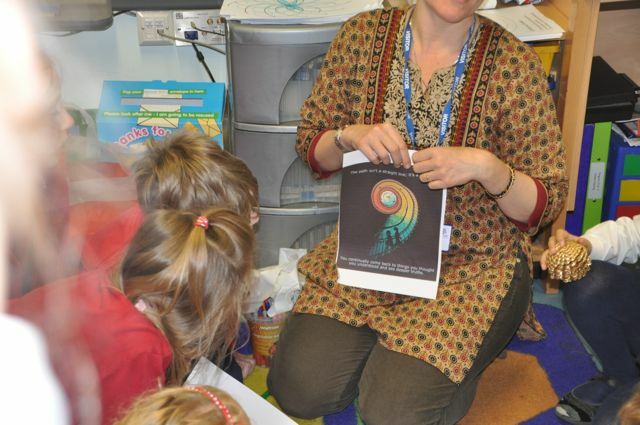 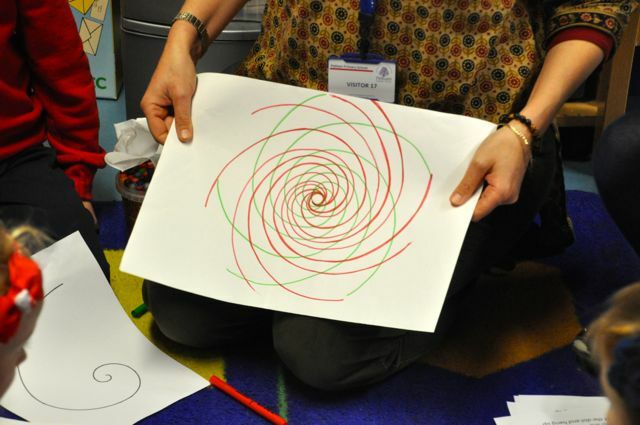 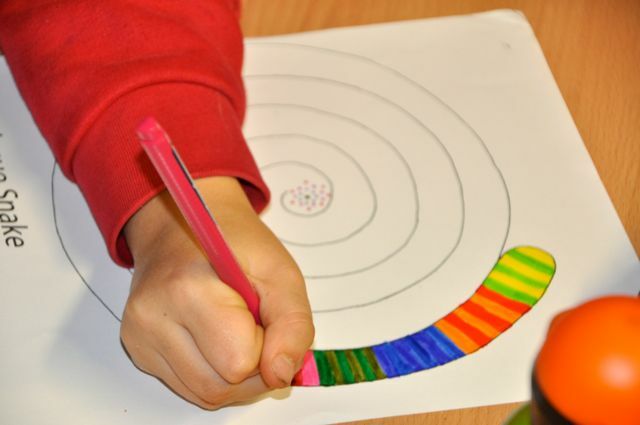 She began by showing the children a couple of clips found on You Tube to get them thinking about the possibilities of the spiral. 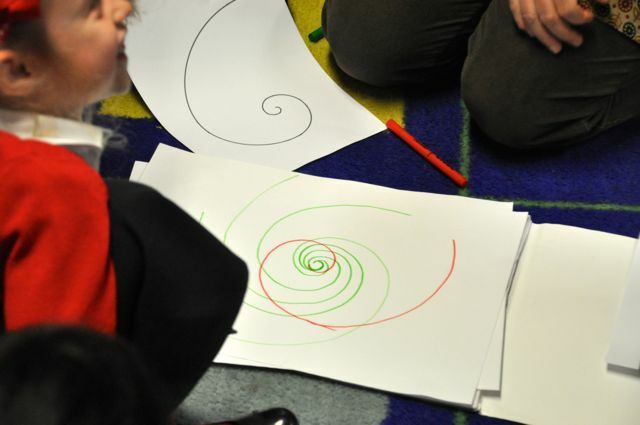 They looked at shells and pinecones as examples of spirals found in nature. 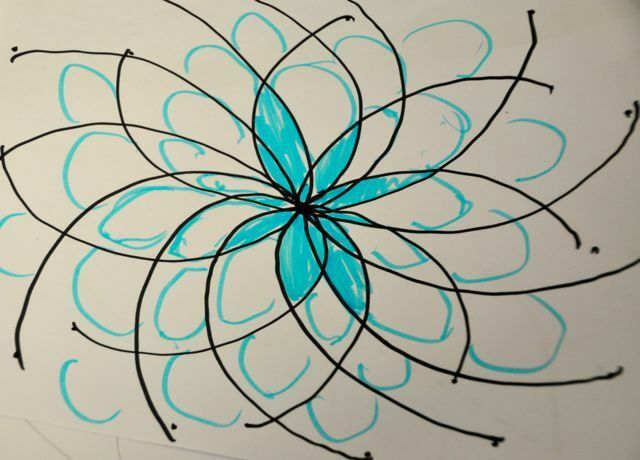 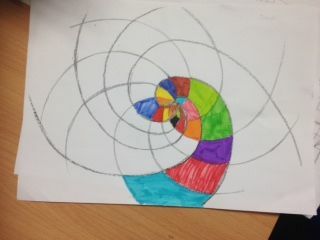 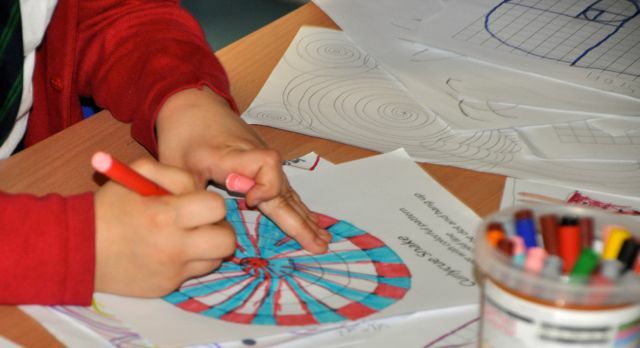 To start with each child explored the Fibonacci sequence by drawing on squared paper and tried to create a golden spiral. 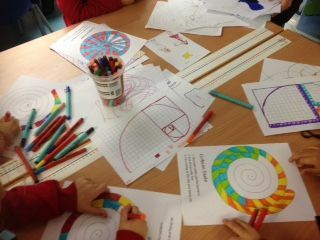 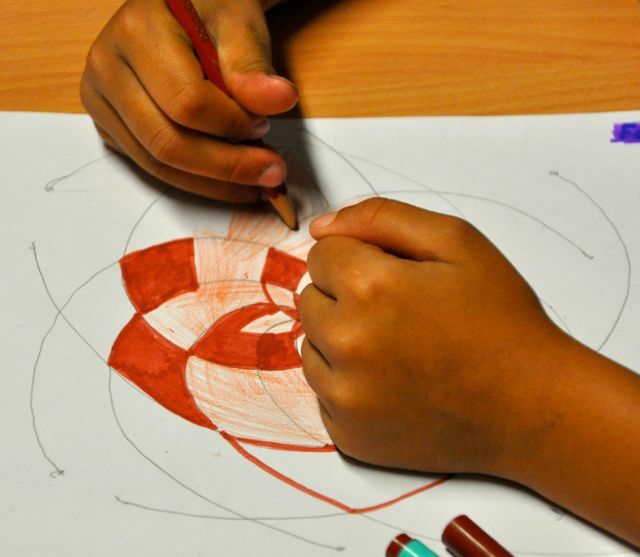 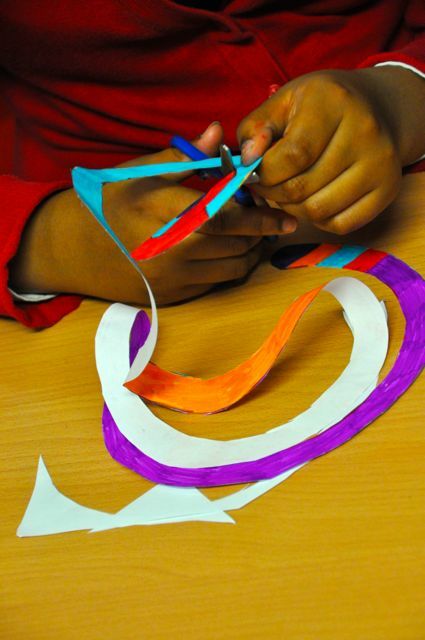 They went on to experiment with cutting and designing different spiral shapes and brainstormed ideas for a new project. 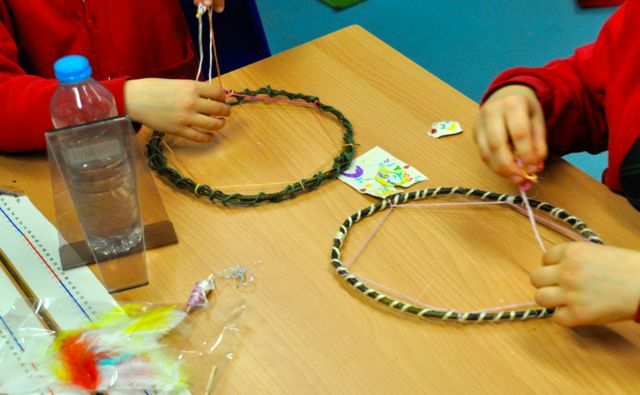 These initial ideas led us to explore using natural forms to create spiral and circular forms with offcuts of willow. 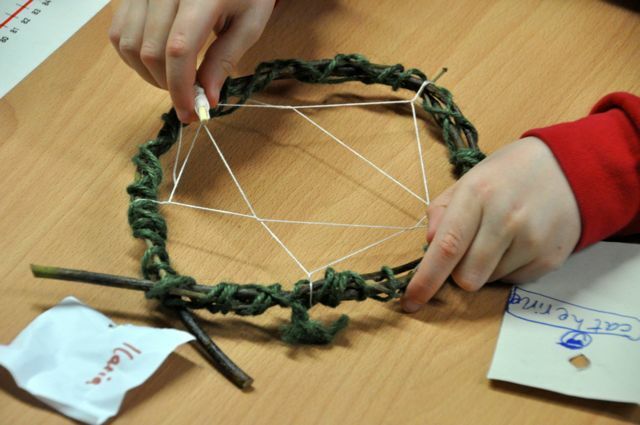 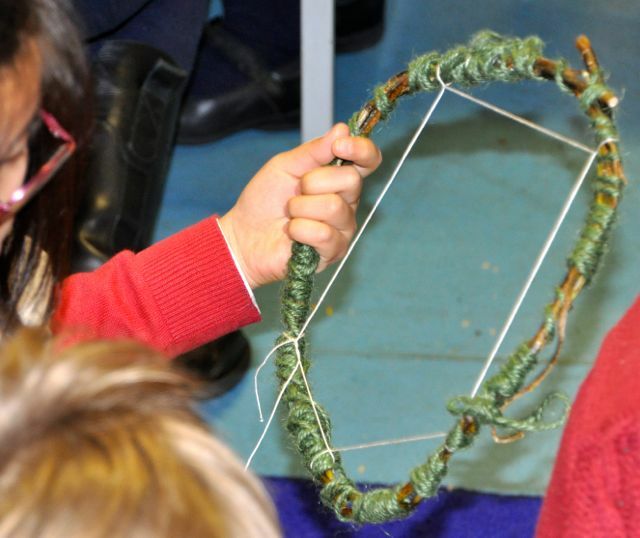 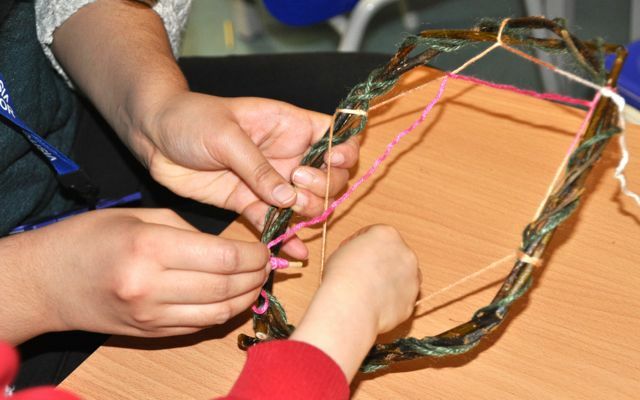 We wound string and wool around the basic form in a spiral to hold the shape then experimented with patters to weave a geometric shape in the middle. 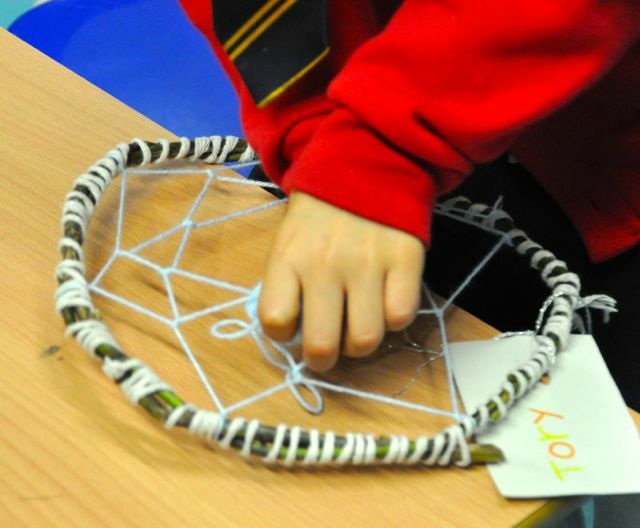 It was quite fiddly but with help we created some lovely patterns. 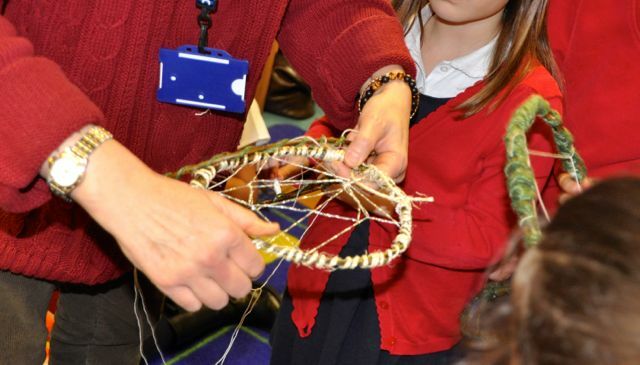 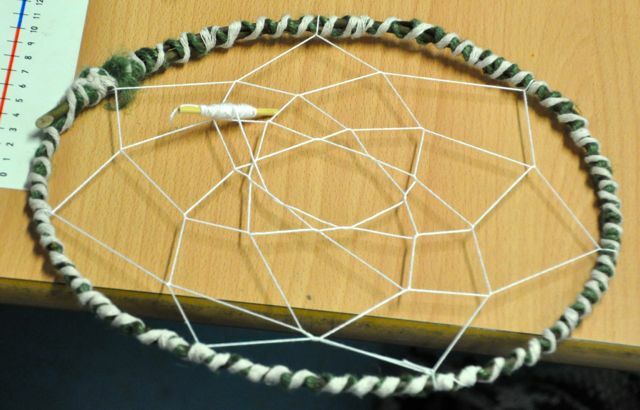 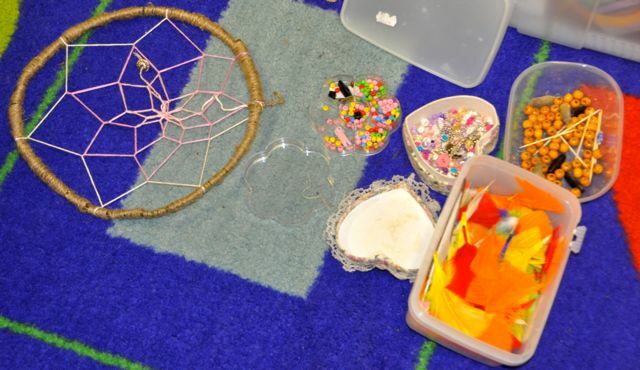 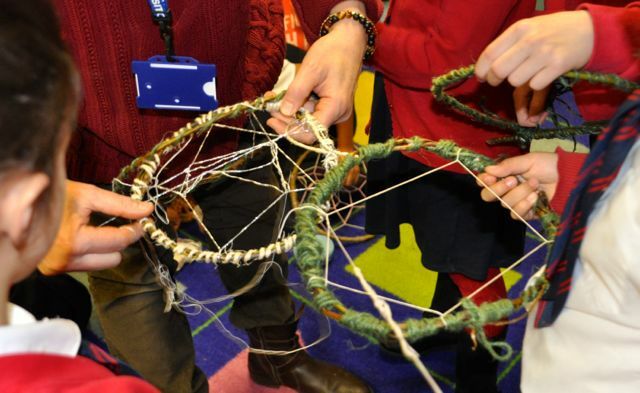 We used feathers, berries and beads to add detail and they became beautiful dreamcatchers. 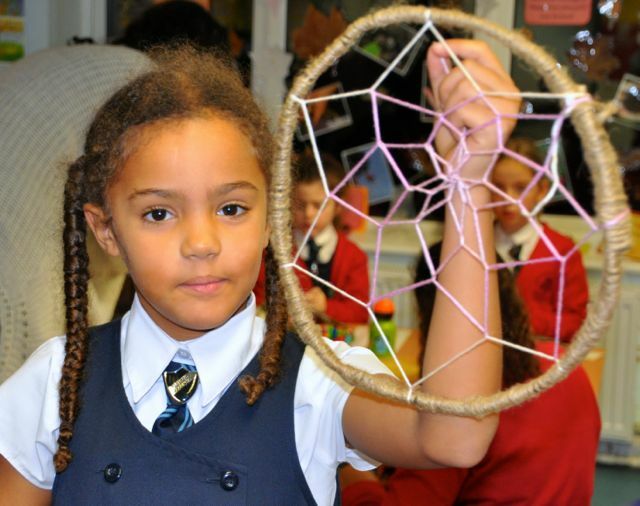 They will look lovely hanging above our beds to catch those dreams – or you could adapt the idea to create a lovely Christmas decoration.